Sweetwater Bay Sterling Oaks Condos: Motivated Seller - Long lake vistas with views of water birds to delight you. This 3 bedroom, 2 bath condo is a dream. Beautifully decorated, with soft, pleasing paint selections, well cared for and immaculate. Newer AC, assigned covered parking and ample guest parking available. Resort living at its best, activities for everyone abound with pickleball, bocce, fitness center and tennis memberships optional. The popular clubhouse offers dining. In addition to the wonderful amenities, Sterling Oaks is only a quick drive to our famous beaches. With location a keyword to this wonderful community, shopping and dining are minutes away. Sweetwater Bay Sterling Oaks Condos: NEW ROOF. NEW A/C. NEW WATER HEATER. NEW WASHER DRYER. Worry-free living for years to come! Enjoy the wonderful Florida lifestyle in this spacious, 2 bedroom, 2 bathrooms plus den condo. This beautiful, contemporary home feels like the modern Florida life. Perfect layout with all the right spaces. High ceilings, oversized doors, and open floor plan project an airy and spacious feel. Cook in the updated kitchen with upgraded stainless steel appliances, huge granite countertops, white subway tile backsplash, and modern touches. The home is ideally located and convenient to all the amenities, biking distance to the beach, grocery, shopping, restaurants, etc. Enjoy the added peace of mind and security with 24 hours a day on-premise security. Come see this home today! Sweetwater Bay Sterling Oaks Condos: This 2 bedroom plus den 2 bath first floor unit overlooks a preserve and the Clubhouse with desirable southern exposure. Turnkey furnished makes this a great second home or rental property. New refrigerator and dishwasher. Sterling Oaks offers a tennis optional membership, 12 lighted clay tennis courts, onsite USTA pro. Pickle ball, Bocce, a Jr. Olympic size Pool with spa, Fitness center and tiki bar by the pool for lunch and spirits. Only 3 to 4 miles from beaches. Very active clubhouse. Sweetwater Bay Sterling Oaks Condos: Your red carpet to Paradise! Sweet as pie 2 bedroom 2 bath PLUS den offers nearly 1300’ sq ft of open concept, comfortable living a stone’s throw from the community’s renowned amenities. Impeccably maintained and beautifully presented. Make time to visit the Club and speak with other Owners in Sterling Oaks, one of the friendliest country club like communities in Naples! Happy people everywhere!! Will it be an invigorating morning swim in the Olympic sized pool, afternoon poolside get together next to the Tiki bar, fun with the bocce gang, pickle ball or another enjoyable social? An acclaimed Tennis Program is optional. 2 Fido’s welcome up to 25 lbs!! Beaches you ask? Just a few miles to the MOST beautiful! Delighted Owner/Realtor since 2006!!! Sweetwater Bay Sterling Oaks Condos: C.15407 - Always in demand Azalea modern open floor plan 3 bedroom, end unit three miles to beach. Resort amenities, easy drive to Mercato, furnishings negotiable. New Roof schedule completion May 2019 - seller paid assessment. AC replaced in the last year. Furnishings items that are for sale available in list upon request. See photos of this clean and private condo located nearly 3 miles to the beach in Naples community of Sterling Oaks. Truly a resort jr Olympic heated pool, cabana bar at pool, bocce, fitness center, pickle ball, pub and dining in clubhouse and optional tennis memberships. An affordable resort club community with an in-town location and no golf, optional tennis and with a quick drive to beach and Mercato. Tray ceilings, great flowing plan with today's modern colors in tile floor, carpeting, paint, and kitchen colors. Sweetwater Bay Sterling Oaks Condos: This condos lanai overlooks preserve area with sunsets. Two bedroom plus den two bath second floor condo with NEW AC AND HOT WATER HEATER. Large tile, granite counter tops in kitchen and turnkey furnished at a great price with a fantastic location within minutes to four beaches, restaurants, theater and a whole lot more. Enjoy the amenities that are included with your purchase which include a Jr. Olympic pool, hot tub, Cabana Bar where you can enjoy lunch and happy hour by the pool, fitness center, new locker rooms, pickle ball, bocce, clubhouse and an optional (and very reasonable) tennis membership with 12 lighted clay tennis courts. Sweetwater Bay Sterling Oaks Condos: Gorgeous 2BR+Den 2 Bath 2nd floor condo with breathtaking preserve views. Fully turnkey with updated granite counters, washer/dryer, and much more. Sterling Oaks is the premier tennis community in North Naples with a full service restaurant, 12 clay tennis courts, bocce, pickleball, cabana with food and beverage service, library, craft room, and much more. The clubhouse is being renovated this summer and should be ready for next season. It will be stunning! Sweetwater Bay Sterling Oaks Condos: This is a must see! Immaculate, TURN-KEY FURNISHED condo. Gated community LOCATED 3 MILES FROM THE BEACH, 2 BED/2 BATH, Den, along with an outdoor bistro seat. Diagonal Tile & New Laminate Floors, New Pendant light fixtures over island. Fans located throughout the condo that provide wonderful airflow. Stone Back splash, Chair Rail, French doors leading to the den. Upgraded with new, never been used, appliances and a beautiful breakfast bar for early mornings. Top of the line AC with warranty, water heater has been replaced in the last 2 years. Additionally, this unit has great rental history. Excellent for the 2019 season! (Community is Uber/Lyft accessible) Community amenities including an Olympic size swimming pool, hot tub with cabana for lunch and drinks! State of the art TENNIS courts & FTNESS CENTER! Covered parking - 2nd floor unit. 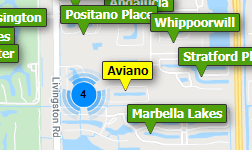 Just minutes away from great restaurants, the world famous Ritz-Carlton, MERCATO NAPLES, BONITA SPRINGS, and ESTERO. Can't get better than this! Sweetwater Bay Sterling Oaks Condos: This two bedroom two bath second floor condo is a short stroll to the club amenities. New stainless steel appliances and a very peaceful private view out the lanai and high ceilings complete this well cared for unit. Take advantage of this very well priced condo in a gated resort style community only minutes away from every amenity you can imagine. Enjoy the club at Sterling Oaks with an optional tennis membership that includes 12 clay lighted tennis courts. Included with your purchase of this home is the Jr. Olympic pool, hot tub, fitness center with new locker rooms and sauna, bocce, pickle ball, Tiki bar for lunch and a cold beverage and restaurant. Sweetwater Bay Sterling Oaks Condos: PRICE REDUCED $5000.00 great location close to beaches airport shopping, retaurants,. sterling oaks is a beautiful community with a great club house beautiful swimming pool olympic sizee, tennis courts.work out room. condo does need a little TLC. Need professional assistance selling your property at Sterling Oaks Naples? Find out how an Area Specialist can help to generate more property exposure in order to get the most money for your investment in the least amount of time.